Christmas is an annual holiday that marks the birth of Jesus. It is celebrated by most (but not all Christians), and has in modern times also become a secular holiday. Christmas Day is the date on which the birth of Jesus is marked. For most Christian denominations (and secular celebrations), it is observed on December 25th. The Armenian Apostolic Church observe it on January 6th. Many Eastern Orthodox Churches use the Julian Calendar for calculating the dates. As a result, they celebrate on the Julian Calendar's December 25th, which currently is January 7th in the Gregorian calendar. Many special foods are prepared and eaten during the period around Christmas, and there are also many traditions associated with it. Barszcz - This Polish dish is the Polish version of borscht. It is a soup made from red beetroot, onions, garlic and other vegetables. Although meats are sometimes added, on Christmas Eve a vegetarian version of soup is eaten with small dumplings (uszka). The dumplings are filled kapusta kiszona (the Polish version of sauerkraut) or mushrooms. Christmas cake - This is a fruitcake originating from British cuisine. There are many different variations on the basic idea, but is usually a rich fruit cake, often covered with marizpan, and then a hard white icing. Christmas pudding - This a traditional British recipe. It is a steamed dessert eaten which is usually eaten on Christmas Day, but because it keeps very well, and maturing is said to improve the flavor, is traditionally prepared many weeks in advance of Christmas. Christmas pudding is made from suet (congealed fat) with dried fruit and nuts mixed in, and alcoholic beverages (such as brandy) are poured into it, in order to add moisture. Christmas pudding is often eaten with brandy butter (a sauce made from unsalted butter, sugar and brandy), cream or custard. Mince pies - This is a traditional British recipe for small pies (about the size of a cupcake). In historical times, actual meat was used in these pies, but today, the pies are filled with minced fruit and nuts (chopped raisins, currants, apricot, cherries, walnuts, etc., with spices in suet). Mince pies are traditionally eaten with brandy butter (a sauce made from unsalted butter, sugar and brandy). Pasulj - This is a traditional Serbian recipe. It is soup made from beans. Pumpkin pie - This is a dessert made from a pie crust filled with a pumpkin-based custard. The custard is usually flavored using spices such as cinnamon, cloves and ginger. 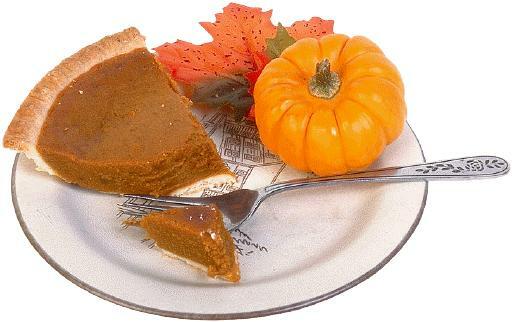 Pumpkin pie is usually eaten at Christmas, Thanksgiving, and Halloween, and is traditionally served with whipped cream. Roast chestnuts - Roast chestnuts are a popular dish in the Winter in general, and during the Christmas period in particular. Sarmale - This is a Romanian recipe for cabbage rools. The rolls are stuffed with ground meat, rice and onions, and are often eaten on Christmas Eve and at Easter. Serbian cuisine has a similar dish, known as sarma, which is eaten at the same times of year. Sült - This Estonian dish is jellied meat, and is usually eaten with sauerkraut. Estonians generally eat the dish during the Winter months, but especially at Christmas. 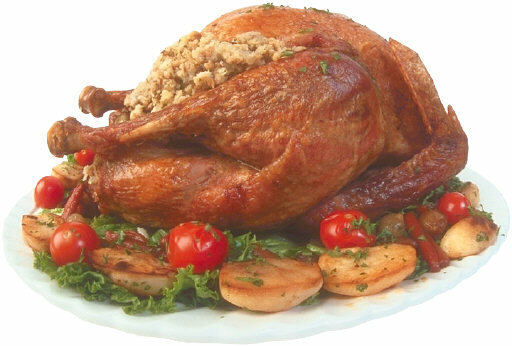 Turkey - Roast turkey is very popular in many countries as the main dish of Christmas dinner (the main meal of the day, often eaten at lunch time though). Vánocní cukroví - This is a Czech recipe for cookies. 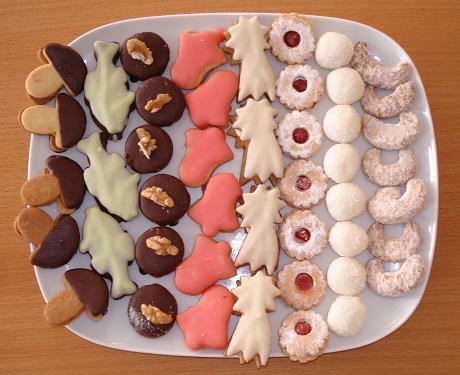 The cookies are usually attractively decorated. Vánocka - This is a Czech recipe. It is a cake made from eggs and butter, and also contains raisins and almonds. Lemon rind and nutmeg are also used to flavor the dough. The dough is then made into braids, these are stacked, and then finally the cake is cooked. Yule log - In some countries, large logs, known as "Yule logs", are burned at Christmas. This tradition dates back to pre-Christian times, when the Winter solstice was known as "Yule". In cookery, Yule logs, are a dessert, usually chocolate flavored, made in the shape of a log, that is inspired by this ancient tradition. 29 Gluten Free Christmas Recipes From The Glutenfreekiwi.com. All Tried And Tested On Gluten Free And Gluten Eating People To Make Sure They Taste Great. Jamie Oliver's Christmas Cookbook is packed with all the classics you need for the big day and beyond, as well as loads of delicious recipes for edible gifts, party food, and new ways to love those leftovers. It's everything you need for the best Christmas ever. Inside you'll find all the classics as well as tasty alternatives, including: salmon pate, apple and squash soup; roast turkey, goose and venison; nut roast and baked squash; best roasties, baked mash, parsnips, glazed carrots, four ways to do sprouts; gravies and cranberry sauce, meat and vegetarian stuffings; turkey risotto; Christmas trifles, pavlova; chocolate logs, Christmas cake, mince pies, gingerbread, baked camembert, smoked salmon bilinis, hot buttered rum and many, many more delicious recipes. "I've got all the bases covered with everything you need for the big day and any feasting meals over the festive period, as well as party fare, edible gifts, teatime treats, cocktails, and of course, exciting ways to embrace and celebrate those leftovers. You'll also find all the deeply important technical info you need, such as cooking charts, and wherever possible, I've designed the recipes to be cooked at the same oven temperature, so you can be efficient with time and oven space, and it'll be super-easy for you to mix and match the different elements and build your own perfect Christmas meal. I haven't held back. This book is the greatest hits, all wrapped up in one Christmas parcel, and I hope you have fun looking through, picking your recipes, and building your own plan." A magical culinary getaway: New York Christmas: Recipes and Stories takes you on a getaway to the magical New York of the pre-Christmas period when coloured lights decorate the buildings, Jingle Bells rings out everywhere and culinary delicacies tempt you to indulge. Who doesn't dream of strolling down a snowy 5th Avenue, ice-skating around the imposing Christmas tree outside the Rockerfeller Center and to cap it off, enjoying a delicious slice of pumpkin pie in an inviting cafe? Live the dream of a White Christmas in New York: Authors Lisa Nieschlag, Lars Wentrup and photographer Julia Cawley have created a cookbook of recipes and Christmas stories from the Big Apple that takes readers on a winter trip to New York. - And, Virginia O'Hanlon's Is There a Santa Claus? If you are a fan of Nigella Lawson's Nigella Christmas, Donna Hay's Simple Essentials Christmas, or Jamie Oliver's Christmas Cookbook; you will want to own New York Christmas: Recipes and Stories. Nobody does Christmas like Southern Living, and for over 30 years, Christmas with Southern Living has been helping you create memorable holidays for family and friends. For 2017, Christmas with Southern Living is completely new, with all of the menu and décor ideas that you've come to expect, along with more than 100 recipes especially created for holiday cooking, baking, entertaining, and gift giving. This year's edition features five complete theme-based entertaining chapters - Christmas on the Farm, on the Block, at the Lake, in the Mountains, and by the Sea - including menus and decorating ideas for every corner of your home, as well as tips and tricks on surprising ways to use leftovers, serve dishes, and more! With over 200 all-new full-color photographs to inspire you, as well as holiday decorations for inside and out, including tabletops, wreaths, trees, centerpieces and mantles, Christmas with Southern Living 2017 is your go-to resource for everything you need to make your holiday memorable and spectacular. Christmas brings out the cook in everyone, whether you are making appetizers and drinks for casual entertaining, a show-stopper meal for family, food gifts for friends, or special cakes and desserts that only come out once a year. In this delightful seasonal cookbook, Betty Crocker combines comforting tradition with new ideas—from simple Sugar Cookies and Roast Turkey with Thyme to Roasted Brined Duck with Chipotle Glaze and Holiday Aloo Gobi. 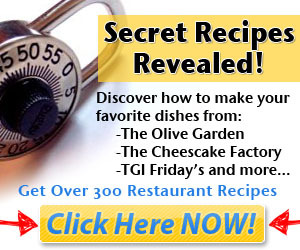 In addition, there are helpful make-ahead tips and special features to add to your holiday cheer. Learn how to set up a home bar and make an Elf-Tini, how to host a fondue party, fun ways to wrap and give cookies, how to create new Christmas traditions, and more. This enticing compendium will be a go-to cookbook year after year, proving that while Christmas is busy, it can also be delicious fun. Look no further for tips and recipes for whipping up a dazzling array of delicious holiday meals — without stress! Grow your heart three sizes and get in on all of the Grinch excitement with this story for beginning readers! The Grinch and Cindy-Lou Who both like to bake, but who will eat the treat they make? Could it be . . . Max the dog? This simple rhymed holiday story is perfect for the very youngest readers. Complete with a 2-ingredient dog treat recipe printed inside the back cover, Dr. Seuss fans will be delighted—and inspired—by this sweet doggie tale featuring one of his most iconic characters!